A blended Irish Whiskey aged in all Bourbon barrels averaging 3-5 years Grain & Malt blend.This Whiskey has single malt in it that has been produced on the stills in the church. On the nose this is a relaxing whiskey with a slightly citrus note. It has mellow malt tones and has an aroma of light honey fruits with floral notes. This whiskey has a light, smooth and easy taste with a hint of spearmint that warms to hints of semi-sweet chocolate, light oak wood, creamy vanilla and light caramel. It has a mild malt character, is well balanced and finishes with a crisp smooth spice. This is a 12 year old Single Malt sourced personally by Dr Pearse Lyons. On the nose this Irish Whis.. This whiskey is a Malt Grain blend that was aging in bourbon casks then vatted together and re-caske..
A blend of Irish Grain & Malt Whiskeys hand selected by the head distiller. It is predominantly .. 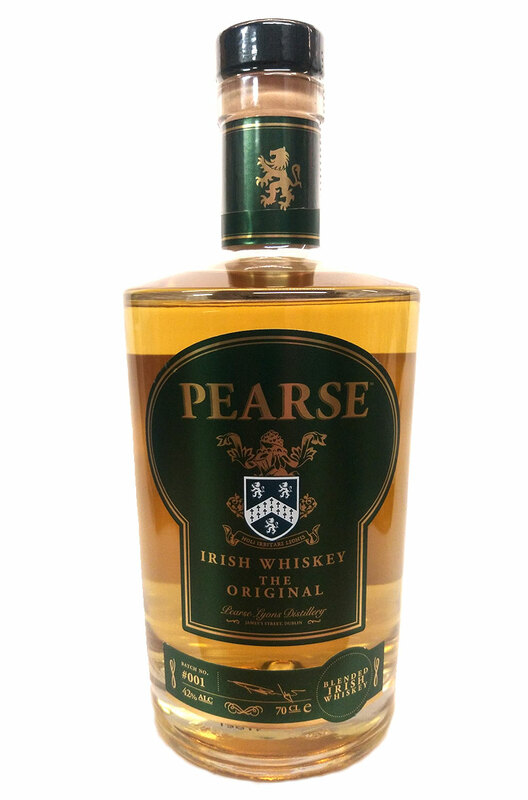 The first Pearse whiskey to come from their own stills. The stills which are currently in Pears..